Mumbai: Volkswagen, Europe’s leading car manufacturer, today announces the launch of the much awaited luxury sedan Volkswagen Passat. The All-New Passat is based on the new MQB platform and is powered with an efficient 2.0 L TDI diesel engine mated to a 6 speed automatic-DSG gearbox. Generating peak power of 130kW (177 PS) and a torque of 350 Nm ranging from 1500–3500 rpm, the New Passat will undoubtedly be a trendsetter amongst car enthusiast in India, redefining luxury and safety in the category with Park Assist for hands-free parking and 9 airbags. Introductory prices starting at INR 29.99 Lakhs, the Passat will be available in 6 colours, across all Volkswagen showrooms for test drives and bookings. The Passat was earlier introduced in India in the year 2007 and the carline garnered attention from customers from day one given its power and efficiency without compromising on the performance along with a fun driving experience. 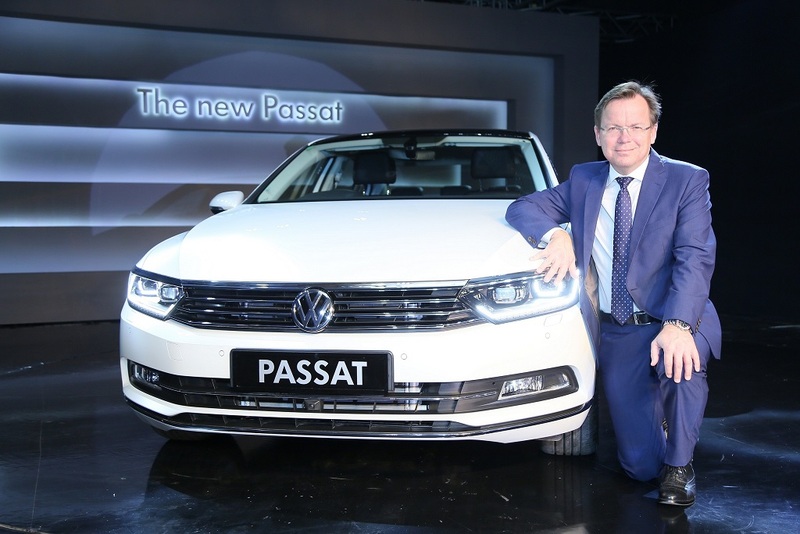 The newly launched Passat will host several premium luxury features including 9 Airbags, Hill Start Assist, Auto Hold, Reverse camera with 360⁰ area view, Park assist, App connect, ‘NAPPA’ leather seats, Dynamic chassis control, 3 zone Auto AC, Electric adjustable front seat, Full LED Headlamps with DRLs and LED tail-lamps and easy open boot among others. The Passat is the first sedan to be based on the MQB platform in India and is up to 70kgs lighter as compared to the predecessor yet offers improved rigidity. It also comes with premium features such as Park Assist which assists the driver by automatically carrying out the optimum steering movements in order to reverse-park on the ideal line. All the driver has to do is operate the accelerator and the brake while the steering movements are undertaken by Park Assist, ensuring that the driver retains control of the car at all times. Safety is not an option at Volkswagen but intrinsic to our DNA. The Passat successfully integrates world class safety features and assistance systems by offering 9 Airbags, ESP, ABS, ASR, Hill Start Assist, Auto hold and tire pressure monitoring system as standard equipment. With the Passat, Volkswagen has applied a progressive design strategy giving the car a dynamic presence, sleek and sophisticated look. 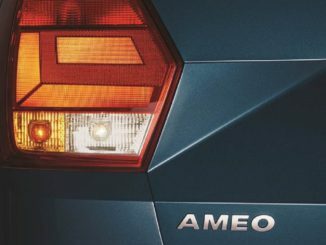 The side windows on the Passat come with chrome moulding and the bumpers with decorative trim adding to the premium nature of the design. The Full LED headlights and taillights provide better lighting performance with reduced energy consumption. The Passat is equipped with the powerful and efficient 2.0L TDI engine mated to a 6 speed automatic DSG transmission that offers superior fuel efficiency of 17.42 kmpl (as per ARAI) and a fuel tank that offers a capacity of 66 litres. The engine delivers peak power of 177 PS/ 130 kW. Available in 6 colours: Oryx White Pearleffect, Deep Black Pearleffect, Black Oak Brown Mettalic, Pyrit Silver Metallic, Atlantic Blue Metallic and Mangan Grey Metallic. With innovative financing solutions from finance partner Volkswagen Financial Services, the New Passat is available at specially designed finance options starting at an EMI of INR 29,990 per month. On the occasion of Volkswagen 10th Anniversary celebration, pre-book offers include a (2+2) warranty & 4 years Road Side Assistance (T&C apply). 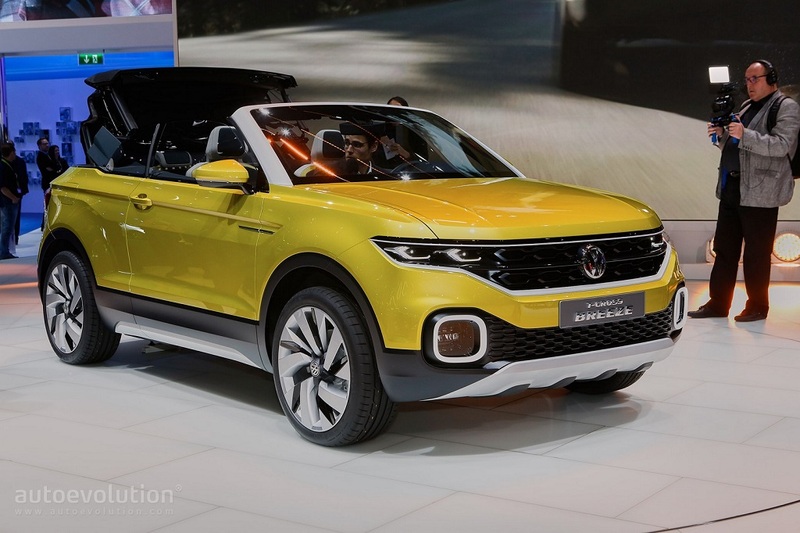 olkswagen at the 2016 Geneva Motor Show: World premieres of the T-Cross Breeze and new up!